At Invotra, we are constantly striving to evolve our product. We released Invotra 4.18 on Wednesday 26th September 2018. We met with our intranet managers to determine the key things that we wanted to improve for this release. Our primary focus was on product improvements with a particular focus on improving the user experience of different roles within the site. 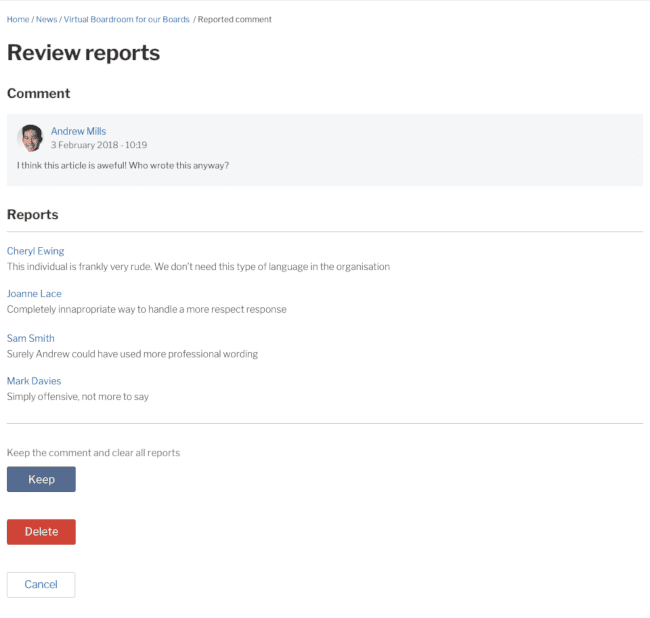 We updated our Invotra admin pages to ensure users with the admin role could navigate through the admin pages effectively to find the tools they required. We have also created a page to allow moderators to have an overview of reported content, displaying the number of times content is reported, who by, and why. The page also gives moderators access to the action buttons to respond to any reported content. In addition, moderators will receive a success message whenever they action a piece of reported content. To continue work to improve consistency across the site we have extended the availability of the bookmark functionality, which now also appears on groups, docs, polls, messages and comments, allowing users to save any required content for later use. Check out the official 4.18 release note for full details of the release.